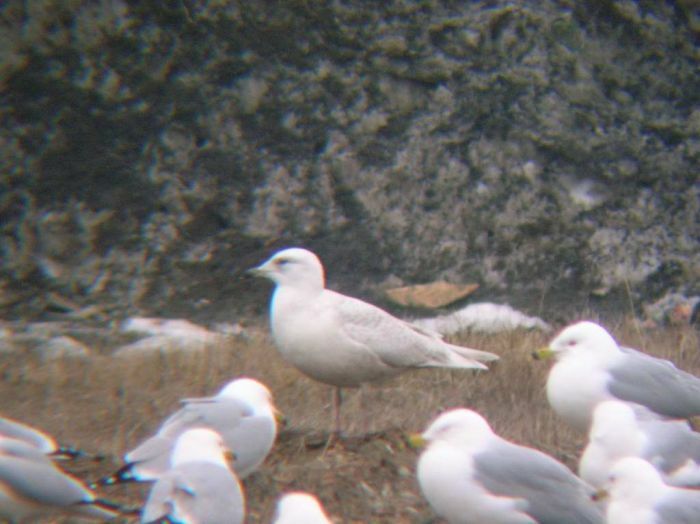 Photo of a 1st or 2nd cycle Iceland Gull at the Bismarck Landfill by Clark Talkington and Corey Ellingson. A first for the Bismarck-Mandan area. Roughly 21 state reports. Taken: 2010-03-27 Compare the two off-white birds. 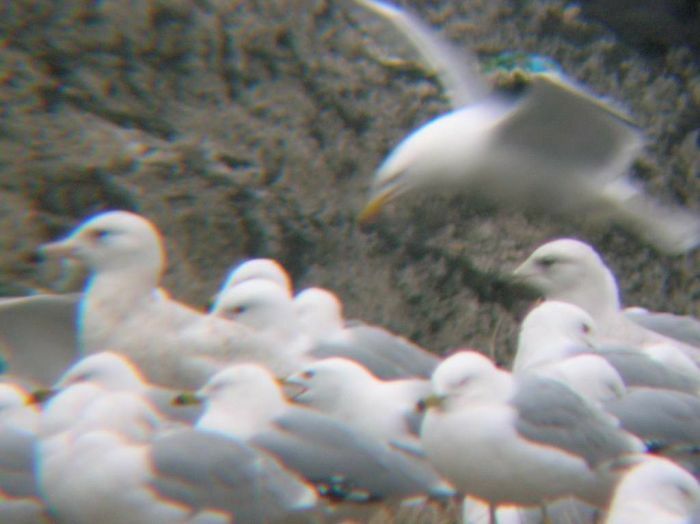 Glaucous on far left, two tone pink/black bill, larger. Iceland on the far right, dirty yellow-brown bill. Taken: 2010-03-27 See the shorter small, thin bill, long white primaries, and smaller pigeon type head. 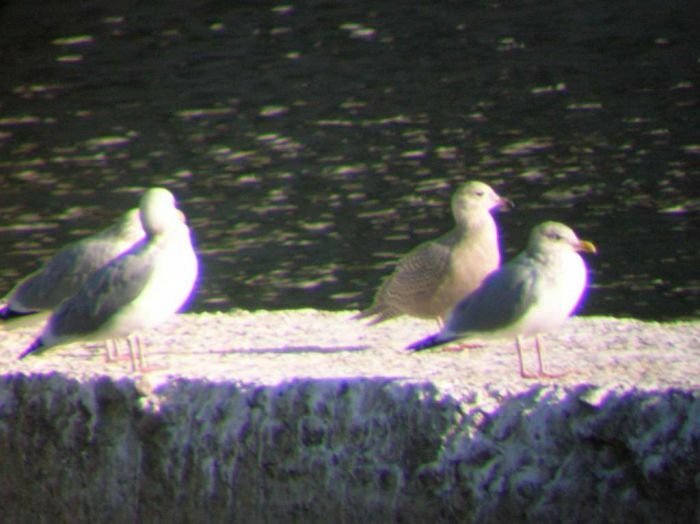 This first cycle Iceland Gull has been present in the Garrison Tailrace from 10 Nov to at least 18 Nov. First located by Ron Martin and Corey Ellingson, photo by Corey Ellingson. Compare the brownish bird with the adult Herring in front of it.